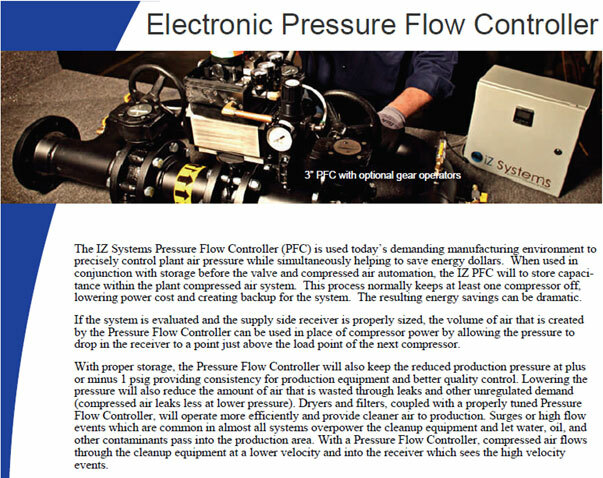 In addition to being experts in compressor automation control design, manufacturing and application engineering; iZ Systems can provide the same expertise in pressure flow controls. iZ Systems has decades of experience engineering and manufacturing anything from the smallest to the largest pressure flow control valves and valve systems. 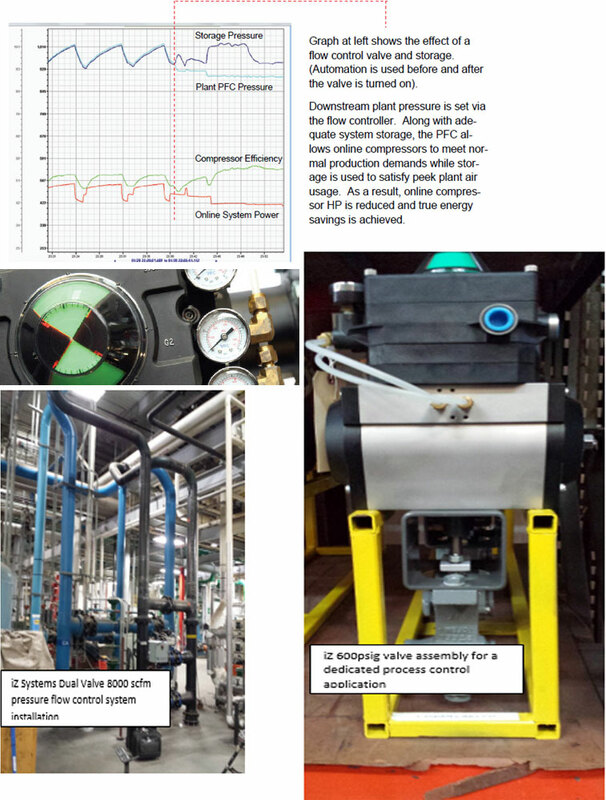 We provide pressure flow control valve solutions as a part of our audit recommendations and turnkey project solutions to provide digital system pressure control at the touch of a button in 1 psi increments, save energy, improve air quality, protect the pressure in critical areas and reduce pressure fluctuations. Below is a basic explanation of what is a pressure flow control and information on some of the benefits of installation a pressure flow control. Contact us for more information and to request help with your pressure flow control needs.